“Pilgrimage.” Imagine my surprise when I attended my first church service of 2018 and found that the theme of the year tracks precisely with the tug at my soul. “Readings for the Road.” The subtitle of our theme, which aligns with weekly scripture readings throughout the year, also seemed to carry a message meant for me. I am a 59-year-old diabetic woman entertaining the thought of thru-hiking the Appalachian Trail alone. I have a husband who is fully supportive of the endeavor however I also have an endocrinologist (diabetes doc) who is a little less enthusiastic. Full disclosure, when I was diagnosed with Type I diabetes I was 25 years old and so relieved to finally have something (insulin!) to make me feel better that I spent the next two decades balancing blood sugar and exercise. 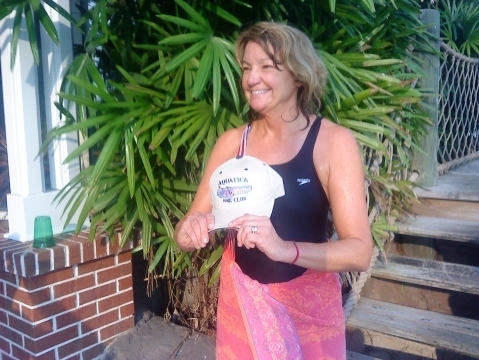 I have run 25 marathons, hiked through parts of the Grand Tetons, the Pisgah National Forest and several sections of the AT, and, more recently, swum a cumulative 500 kilometers across Lake Cane in Orlando. Generally I have found that the more exercise I get the better my diabetes behaves. 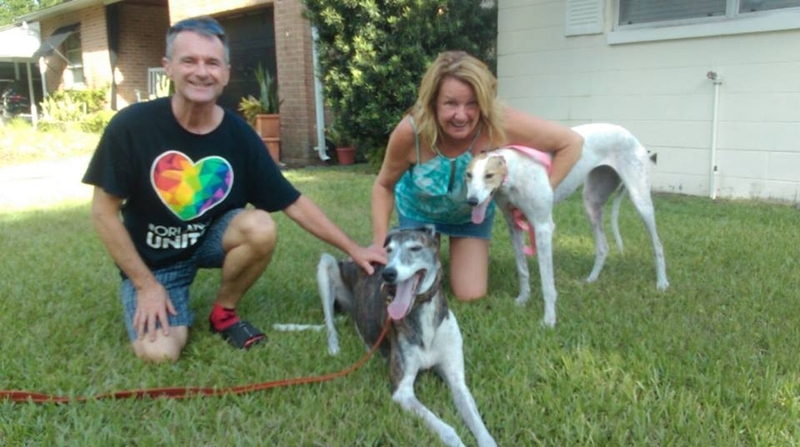 My husband Dennis cannot complete the hike because of arthritic knees but will support me not only with the logistics of packaging and mailing supplies, monitoring my progress via a FindMeSpot gps monitor and section hiking as he can, he has agreed to take on the not-insignificant task of full-time care of our two greyhounds while I am away. Thanks, Sweetie! So all is good however I am aware that in recent years (as in the past 15) I have become increasingly sedentary, to the point where in the last year my weekly lake swims and a short dose of boot camp were about all that supplemented my 40 hours-a-week in the office (plus 90 minutes a day commute). And that is what I am working toward now. Heart test is at the end of January and I am counting on it being the final pump that puts me on the trail at the end of March! Know the signs when it is time to make changes, in meds, in distance, in continuing, in sleep, in diet. You know many of these now and the docs can give you more insights. We once heard someone say to us, “Take the cookies when they are passed.” The question is, “What is the cookie being passed?” Is the AP the only (cookie) opportunity avaiable at this time. You say the your great physical shape is not as it once was. It will become greater on the journey if the body accepts the challenge. So my insights, I have none. Keep us posted. Thanks, Ken. You know I value your opinion and you know I am not surprised we recently had the opportunity to reconnect. I will keep you posted and hopefully see you next month. I am very positive about this endeavor and wish you the very best! You are the best. Will plan to see you out there! I am all at once jealous, impressed, and full of the BEST wishes for this whole experience for you! Blessings abound on your way! You are such an inspiration to me! I’m really looking forward to hearing how it all goes.